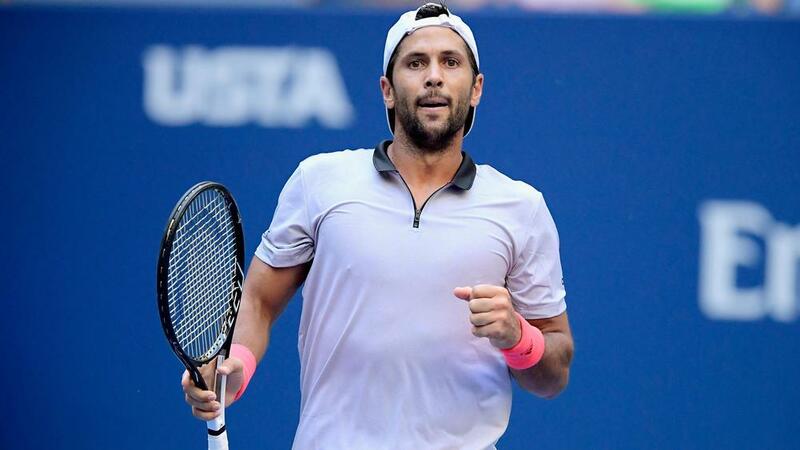 Fernando Verdasco saw off Andy Murray in a four-set thriller in the US Open second round on Wednesday. The Spaniard, who had lost 13 of his previous 14 meetings with Murray, edged to a 7-5 2-6 6-4 6-4 victory in hot conditions on Arthur Ashe Stadium. Murray often showed signs of a player continuing his return from injury, with the tournament in New York marking his first grand slam appearance since last year's Wimbledon. Verdasco improved as the match went on to secure his first win over Murray since the 2009 Australian Open, setting up a third-round clash with Juan Martin del Potro. The first set had all the hallmarks of a world-class talent still trying to find top form. Murray was brilliant in flashes but lacked consistency in the key moments. It led to a disjointed set in which there were four breaks of serve in the opening seven games, a 26-point rally early on typifying a keen contest. The momentum finally swung the way of Verdasco, who had saved a set point, in game 11, as a costly Murray double fault handed his opponent an advantage he duly accepted. Murray was noticeably sharper early in the second and Verdasco smashed a forehand into the net to give the Briton the first break. The Spaniard hit straight back, but a third break on the spin was punctuated by a Verdasco double fault when serving to stay in the set at 5-2 down. The topsy-turvy nature continued at the start of the third with Murray offering up too many cheap points en route to being broken in the opening game, while further struggles on serve saw Verdasco go 4-1 in front. Murray broke back immediately but had left himself too much to do as Verdasco closed it out to regain the initiative. Verdasco broke to love in the seventh game of the fourth set and was two points away from victory with Murray serving at 3-5. While Verdasco was unable to close it out on that occasion, the left-hander did so on serve despite some late nerves, saving five break points before securing his win when Murray sent a backhand return into the net.